Bahrain Confidential brings you the best summer staycation deals across the Kingdom. Grab your dancing shoes and join DJ Amm at Cellar 59 while he spins the night away with English House music and R&B hit songs. The night is dedicated for those born with a Virgo sign, which are able to enjoy the night with complimentary cake and bubbly drink. Your Friday is officially booked with the arrival of ART Rotana’s Sunset pool party by WU! Brilliant performers and DJs along a vibrant selection of cocktails, mocktails and spirits, not to mention the spectacular location of an adults-only pool and Jacuzzi facing the fabulous beach and sensational sunset view! It’s the amazing Summer Friday Brunch at Flavours on 2, where you can enjoy an array of International and local dishes this month for only BD18++ with soft drinks or BD26++ with selected beverages. An exciting live cooking station dedicated to making your food the way you like and a live performance to keep you entertained. Book now for 4 people and get 2 free. The fun will not stop here! You can also enjoy free pool access. Don’t miss this amazing summer offer! Embark on a luxurious olfactory journey and rediscover Moroccan hammam in The Spa at Four Seasons Hotel Bahrain Bay. An ultra-purifying exfoliation paying tribute to hammam tradition and that leaves your skin fully detoxified, rejuvenated and soft. 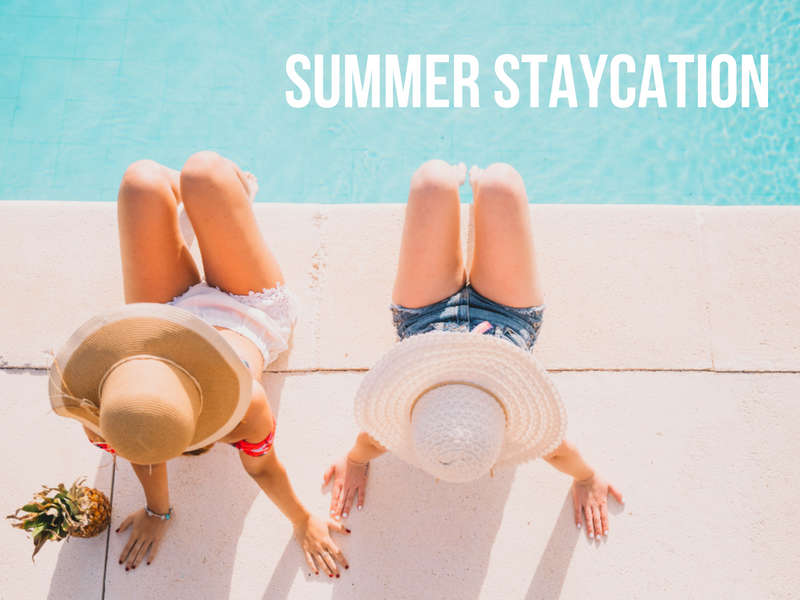 From legendary outdoor camp experience to culinary events, swimming lessons, and educative art workshops – there’s no better place to be this summer. Enhance your Traditional Hammam with a luxurious hair treatment using products that will leave your hair nourished and revitalized along with a purifying mask application for the face. Conclude your signature experience with a traditional stretching ritual that will leave you feeling cleansed from head to toe, followed by a cocooning application of body moisturizer to hydrate the skin. Fans of Mediterranean cuisine will be delighted as brand–new restaurant “Ya Hala” has opened its doors at the rooftop terrace of Ramada Hotel & Suites Amwaj Islands. The restaurant has live music and is open from 5pm till 2am for weekdays and from 12 noon till 2am on weekends. The restaurant and lounge has a menu that boasts influences from the Middle East, modern Southern Europe to the Levant, all served up in a cozy and welcoming setting with a splendid view of Amwaj Marina. Ya Hala makes it the perfect place for get-together with friends after work or as an evening venue for the perfect celebration. Join Sheraton for a summer swim, and enjoy a day-use of Sheraton Fitness facility for just BD11net per person. Experience the outdoor pool with three lap lanes and outdoor Jacuzzi too. Entertainer voucher is accepted. Ladies, Monday is your day. Visit Sofitel and avail 50% OFF on food and beverages as you experience a unique dining experience at their award winning 5-star restaurants. Let loose and create unforgettable memories with your girlfriends at Sofitel Bahrain Zallaq Thalassa Sea & Spa. Buy 2 beverages & get 1 game session complimentary daily from 12pm to 12am at Murphy’s. Games included – Bowling, Pool, Shuffle, Bar Billiard and Foosball. Enjoy a laid back Friday Brunch with friends and family 25N 50 Eatery from 12:30pm to 4pm. A perfect venue with show kitchen and tantalizing buffet offering international and Bahraini favorites. Younger guests are kept entertained with face painting, balloons, cartoon mascots & magic show. Get glowing and revitalize your skin this summer with The Ritz-Carlton Spa’s exclusive wellness package. Enjoy a full body massage followed by a re-awakening “Vitamin C” scrub to help protect your skin against free radicals and pollution. The package is priced at BD90 for 90 minutes. Discover massage treatment and Hammam & Moroccan bath offers at Heavenly Spa Bahrain. Separate relaxation areas for men and women, couple’s treatment is also offered. #FeelWell this summer and enjoy our outdoor Swimming Pool Day use offer. Ask HV Holistic: How can I protect myself against the sun’s harmful UV rays?